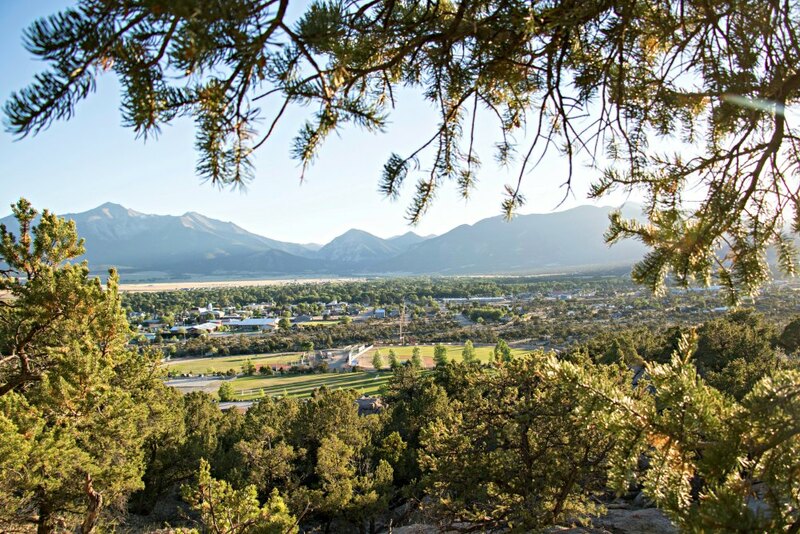 The Town of Buena Vista provides access to a variety of areas through our trail system. Whether you would like to walk, hike, ride, or run, there is a trail for you, whatever your ability level! Check out the Trails Map for a broader look at the trail system- find out where they go and how they connect. We also have opportunities available to adopt one of our local trails, so click on the link for more information and the application. Download a PDF map of all of Buena Vista’s trails to your phone for offline access wherever you are. Click here to learn about adopting a local trail to promote sustainability and keep BV’s trails maintained. Buena Vista Singletrack Coalition is a non-profit trail advocacy organization committed to collaborating with agencies, businesses, and locals in order to build, maintain and steward sustainable trails for muscle-powered users. They promote responsible recreational trail use in the greater Buena Vista, Colorado area. The Coalition meets the fourth Wednesday of the month at 6:30 pm at the Community Center. 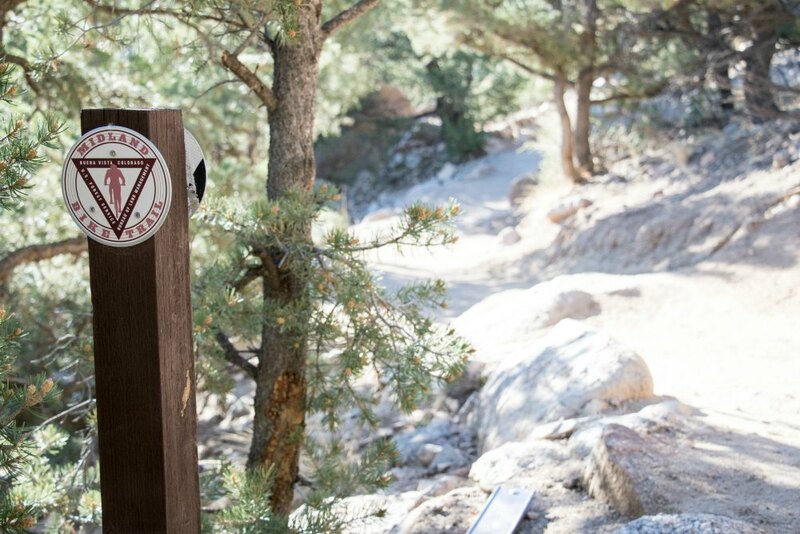 The Town of Buena Vista’s Trails Advisory Board makes recommendations about the care, preservation, maintenance, and improvement of the Buena Vista trails system. They also call out apparent violations of any ordinance or matters of the Town pertaining to trails or recommend remedial enforcement action. The Board meets the first Tuesday of the month at 5:30 pm at Public Works, 755 Gregg Drive. 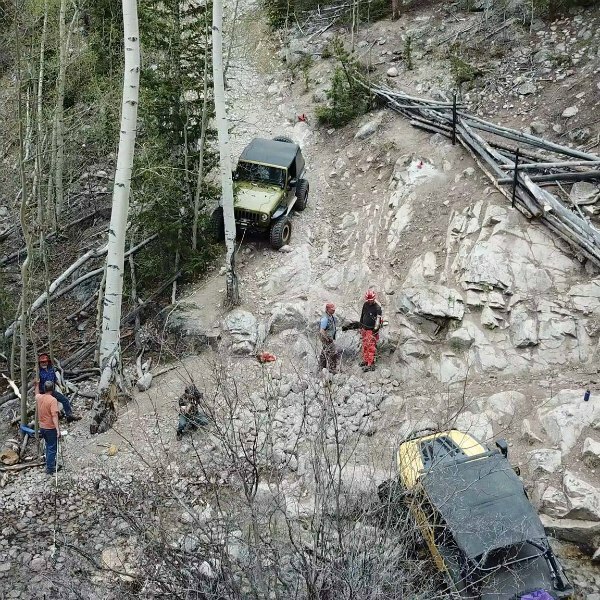 CORE is an action group dedicated to maintaining off-road motorized, bike, and foot travel in the San Isabel – Pike National Forests and bordering BLM lands. 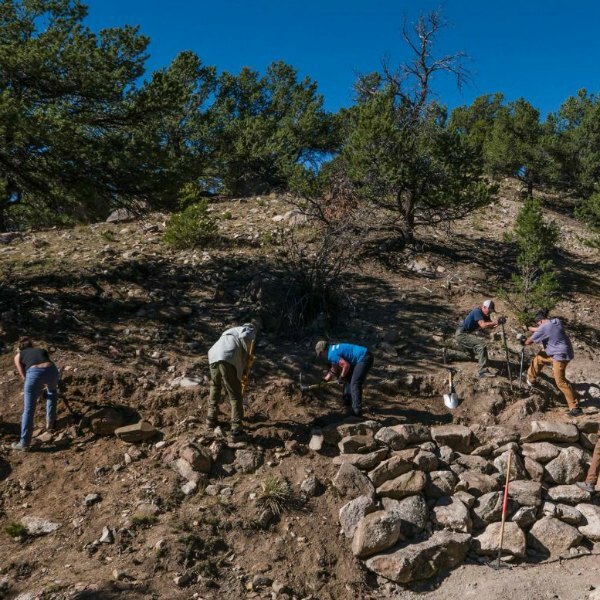 The CORE mission is to keep trails open through adoption, stewardship, education, collaboration and to involve multiple user groups to accomplish this goal. CORE works with the BLM and Forest on trail maintenance and has adoption agreements in place for 10 trails. Airport Trail runs north-south between town and Gregg Drive, connecting the Airport and Colorado Mountain College area with DePaul Ave. The trail is mostly hard surface and is steeply banked on the east side. Arkansas River Trail is the uppermost trail along the river’s west bank. This nearly flat 0.6 mi trail combines with Whitewater Trail and Rock ‘n Roll Trail for a river-focused loop. Buena Vista Wildlife Trail, accessed from CR 361 west of town, meanders along Cottonwood Creek and provides several benches, informational kiosks, and an ADA site for fishing at the south end of the parking area. Cottonwood Creek Trail is an easy town walking trail. A fork to Marquard Nature Area is behind the High School. Gregg Drive Trail runs east-west between the Airport/Colorado Mountain College (CR 319) and Rodeo Road (CR 321). Peaks View Trail runs along fields and horse pastures with a spectacular view of the Collegiate Peaks. It connects Pleasant Avenue and Rodeo Road Trail. Railroad Trail, an asphalt path, runs north-south between Town Hall and Buena Vista High School. River Park Trail runs between the northeast corner of the tennis courts and Arkansas River Trail. It passes through portions of the Disc Golf Course and connects to the Pump Track, Dog Park, and other Buena Vista River Park features. Rock ‘n Roll Trail leads to the boat ramp where many rafting adventures begin. Fishing is great along the river to the north. Rodeo Road Trail runs along Rodeo Road between Gregg Drive and West Main Street (CR 306), and provides access to town from several subdivisions southwest of Buena Vista. Whitewater Trail is the closest trail along the river with good views of paddle sports. Fishing and wildlife viewing are also good along this stretch of the Arkansas. Zebulon-Pike Trail runs east-west along Ramsour Road between Arizona Avenue and Arkansas River Trail leading north to the South Main area. This trail has great views west to the Collegiate Peaks and east to Sleeping Indian Mountain. The BV River Park bridge connects to the Whipple Trail system, the Midland Bike Trail, and the Fourmile Travel Management Area — 100,000 BLM and Forest Service acres. The main Whipple Trail follows the historic “Hack Road” that from 1887 to 1918 transported Midland Railroad passengers and freight down to the town from a depot 400 feet above the Arkansas River. The trail system honors a beloved Buena Vista artist who moved to town in 1976 with her husband Grant Heilman, a well-known photographer. Her art was inspired by nature and she enjoyed hiking the Midland Hill area. Broken Boyfriend 6032A is a 1.5 mi route open to hikers, horses, and intermediate/advanced cyclists, but is not recommended for horses due to difficult footing and possible conflicts with other users. Midland Bike Trail is for intermediate-level hiking, cycling, and horseback riding, and begins at the BV River Park bridge. It follows the same route as the South Loop Trail to CR 304. This trail shares CR 304 with street vehicles for 3 mi, after which the trail has dedicated use of the historic Midland RR grade for 4.9 mi to the Shields Gulch trailhead. Midland Hill Trail 6032B is not open to bicycles except near CR 304 and is not recommended for horses due to difficult footing. This 2-3 hour round-trip trail gains over 1,500 ft in elevation in 2.4 mi (one way) from the river. It is rated moderately difficult due to steep rocky areas above its middle section. North Loop 6030 comes out farther north along CR 304 than the Whipple Main Route. It runs about 0.9 mi when combined with the Steep Shortcut. This narrow single track trail is more challenging for cyclists than the Whipple or South Loop Trails. South Loop 6032 is a more gradual and longer connector to CR 304 than the Whipple Main Route. Steep Shortcut is a good pedestrian alternative to the Whipple Main Route and provides quicker access to the North Loop. It is about 0.7 mi to CR 304. The steep lower section with steps is not suitable for bicycles. Whipple Main Route is the original “Hack Road,” the widest and most gradual route. The trail gains 300 ft in about 1 mi to CR 304. Cyclists usually ascend this section and descend South Loop Trail. 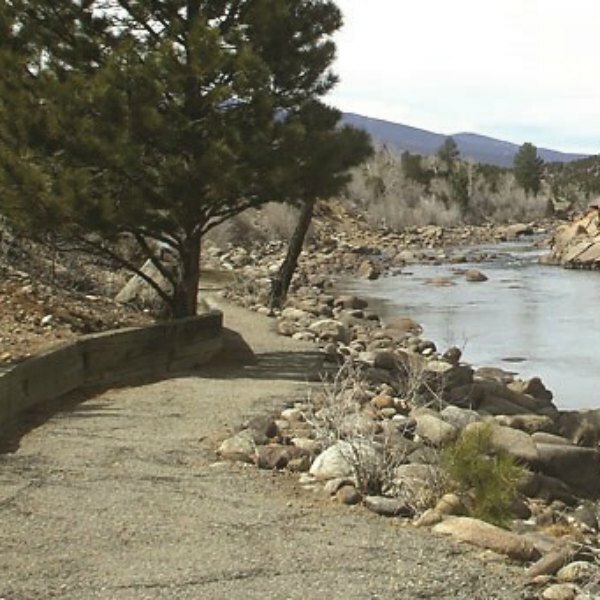 Barbara Whipple Trail System on the Arkansas River’s east side is the town’s most popular hike with great Collegiate Peaks views. A hike here combines well with nearby cycling and boating and connects to the 19-mi Midland Bike Trail. 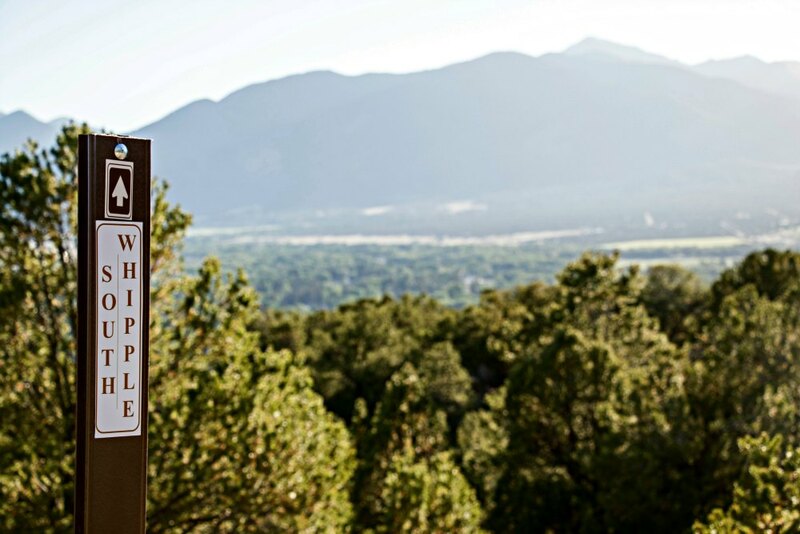 The Collegiate Peaks Overlook is a trailhead for several cycling/hiking/horseback riding trails that connect to the Midland Bike Trail. This BLM fee area, with parking and toilets, is located at the intersection of US Hwy 24/285 and CR 304 one mile east of Johnson Village. An additional trailhead can be found at the intersection of CR 304 and the Midland Bike Trail. Django 6033 is an advanced 1.4 mi winding trail with many rock obstacles that make for a technically challenging descent or difficult climb. This is a great loop when combined with Fistful of Dollars, and is most commonly ridden clockwise by cyclists. Few Dollars More 6034A is a moderate 1.1 mi trail, more difficult than Fistful of Dollars. Larger and more frequent rock obstacles make for a technical, challenging descent or a difficult climb. This trail ends at Hwy 24/285 with no other return option to the Overlook or Midland trailhead; riding it as an out-and-back is recommended. Fistful of Dollars 6034 is an easy-to-moderate 1.3 mi twisty trail with some fairly easy rock obstacles, making it equally fun as a descent or a climb. 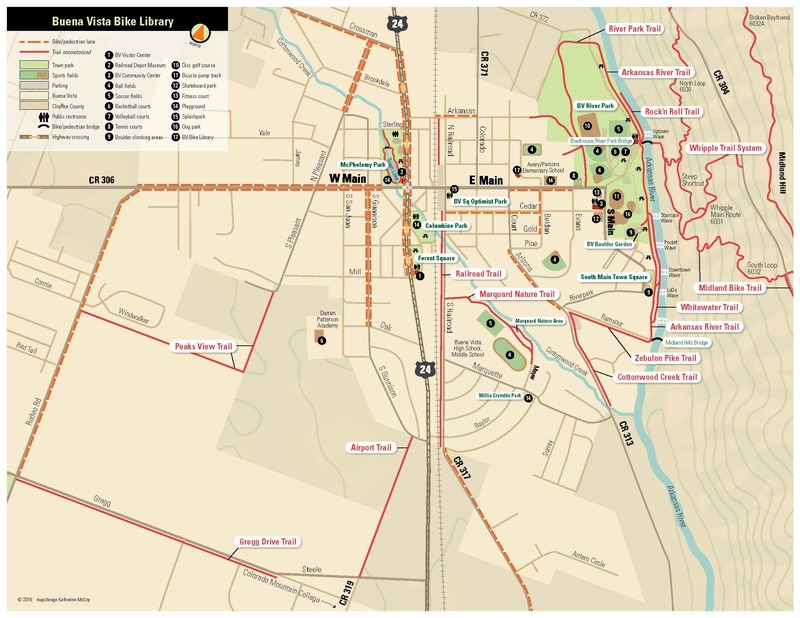 Midland Bike Trail is for intermediate hiking/cycling/horseback riding. It continues east approximately 15.5 mi from the north ends of Fistful of Dollars and Django trails to the top of Trout Creek Pass along the historic grade of the Midland RR and several US Forest Service roads. The trail’s gradual ascent has several challenging sections that run through drainages formerly spanned by railroad trestles, and a rough jeep trail section into Chubb Park. *This map is provided by a third party organization and may not be an exact representation of local trails.